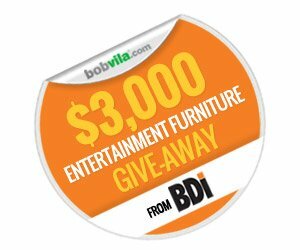 Bob Vila’s $3,000 Entertainment Furniture Give-Away—Week 2 Starts Now! Enter to win a home theater cabinet or bar, courtesy of BDI! You have one more chance this month to make your home the ultimate gathering spot! Look to your own living room the next time you want to catch a movie or have a beer with family and friends. With the right amenities, you’ll have everything you need to keep your favorite crowd entertained. Who needs a night out when your house has the best in home entertainment luxuries? With that in mind, we teamed up with BDI to help you transform your home into a relaxing winter retreat. Our sweepstakes winner will receive $3,000 worth of furniture! The best part? You can pick your own prize—choose between a home theater cabinet or a spacious minibar. BDI, an industry leader in modern furniture, works to make beautiful, functional pieces accessible to everyone. Their love for interior design is reflected in each piece of furniture they create—right down to the packaging that protects their products. Tailored to fit today’s technology, the Corridor® 8179 home theater cabinet has four roomy compartments to accommodate a range of speaker sizes, players, and accessories. 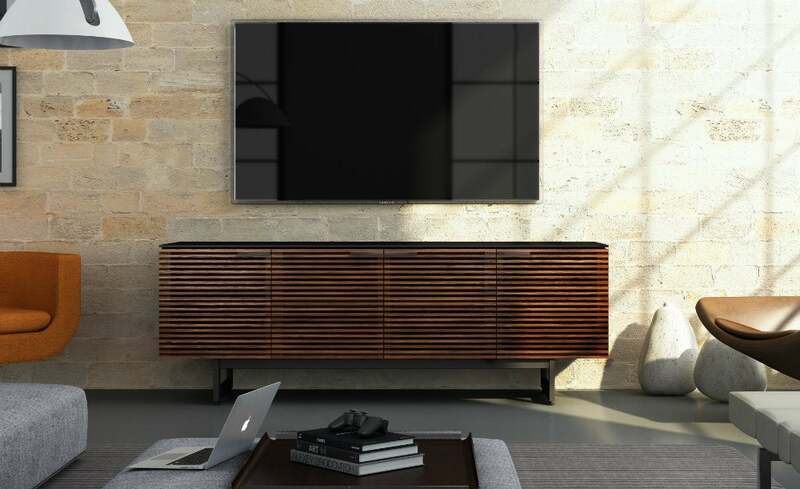 You shouldn’t have to choose between beauty and function—and with BDI’s home entertainment furniture, you won’t have to. Behind solid walnut or oak doors, speaker audio and remote signal access are able to pass through the unit without any quality loss. Have a wiring issue or need to swap out your cable box? The hidden wheels let you roll the unit away from the wall for easy access to cables and connections. The spacious Corridor® Bar features a 12-bottle wine rack, in-door liquor storage, a wooden stemware rack for glasses and shelves to keep tumblers, mixers, and bar extras organized. 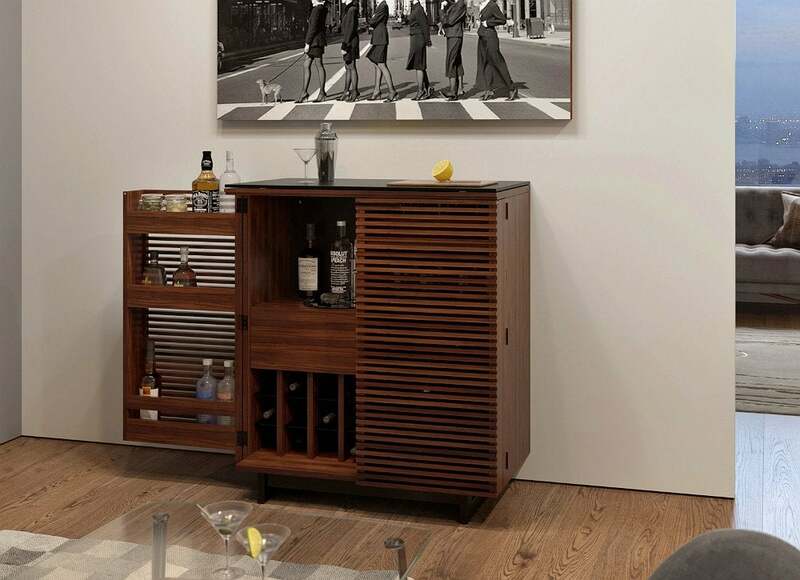 Everything is concealed behind two louvered doors—the signature design feature of the Corridor® collection—while the the bar’s black glass top is the perfect space to whip up your favorite cocktails. ENTER TODAY and every day this month to win your choice of Corridor® entertainment furniture from BDI! Bob Vila’s Give-Away is open only to permanent legal U.S. residents of all 50 states and the District of Columbia. Void in all other geographic locations. No purchase necessary. Void where prohibited. The Contest Period will last from noon EST Saturday, February 14, 2015 through 11:59 a.m. EST Saturday, February 28, 2015. One entry per household per day on BobVila.com. Alternative means of entry for Drawing is available by faxing your name and address to 508-437-8486 during the applicable Entry Period. Odds of winning depend on the number of eligible entries received. By entering, all entrants agree to the Official Rules.